Looking to escape for a deserved week away? 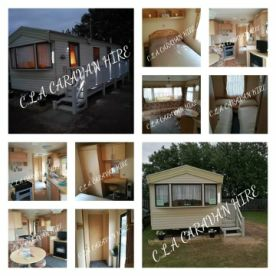 C.L.A Caravan Hire has a beautiful caravan to hire at competitive prices. Located in Ingoldmells, we have something to suit every budget, so if you’re after a conventional caravan to sleep up to six people, we’ve got you covered. Give us a ring on 07845182416 to see how we can help you. If you fancy a trip away without breaking the bank, we can help. 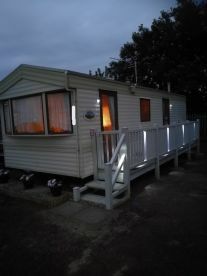 Our caravan hire bookings can be for variable nights, and we will do our utmost to accommodate you and your family whenever you’d like to travel. We can also advise you on great places to go. If an apartment isn’t your style or you’re on a budget, caravans are the perfect option for holidaying. our caravan comes complete with heating, TV, microwave, toilet, basin and shower, as well as a kitchen area, hob and worktops. We also have a large veranda which is lovely for those family holidays. Beautiful caravan located in a perfect spot on Waterside. Immaculately clean. Would highly recommend this van. 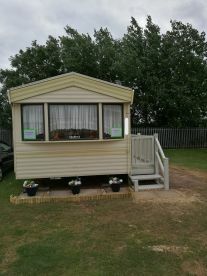 Please note that C.L.A Caravan Hire may not be able to honour booking requests made.